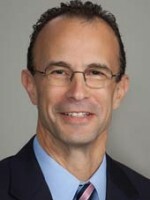 Dr. Brenner is the medical director of CHKD's sports medicine and adolescent medicine programs and the director of CHKD's sports concussion program. Dr. Brenner attended medical school at SUNY Buffalo and completed his pediatric residency training at EVMS. He completed fellowships in primary care sports medicine and adolescent medicine at Baylor College of Medicine in Houston, Texas, where he also received a master of public health at the University of Texas. Dr. Brenner is the team physician for local high schools and Norfolk State University, Governor’s School for the Arts, Todd Rosenlieb Dance and Virginia Ballet Theatre. He is the medical director for the athletic training programs in Chesapeake middle and high schools and Virginia Beach middle schools. Dr. Brenner lectures locally, nationally and internationally on topics including concussions and overtraining in young athletes. Dr. Brenner is a member of the Virginia High School League Sports Medicine Advisory Committee (SMAC) and the SMAC Concussion Subcommittee, and the chairperson for the American Academy of Pediatrics’ Council on Sports Medicine and Fitness.